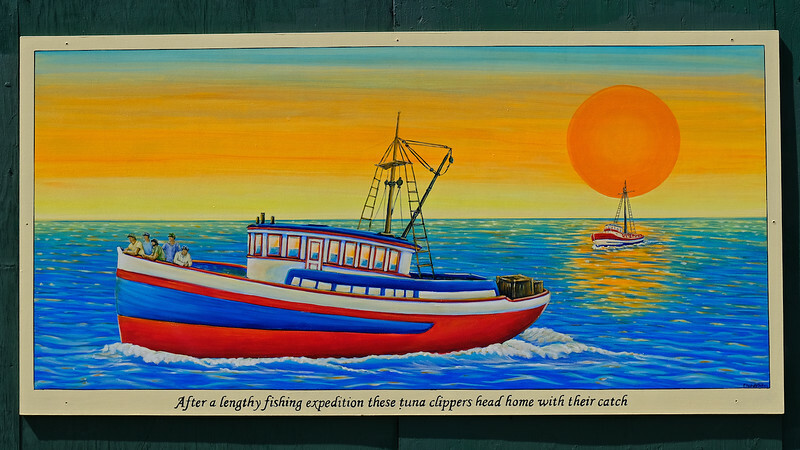 While wandering around the Little Italy neighborhood in San Diego on Sunday we found this series of paintings on the wall of a construction site on Kettner Blvd. 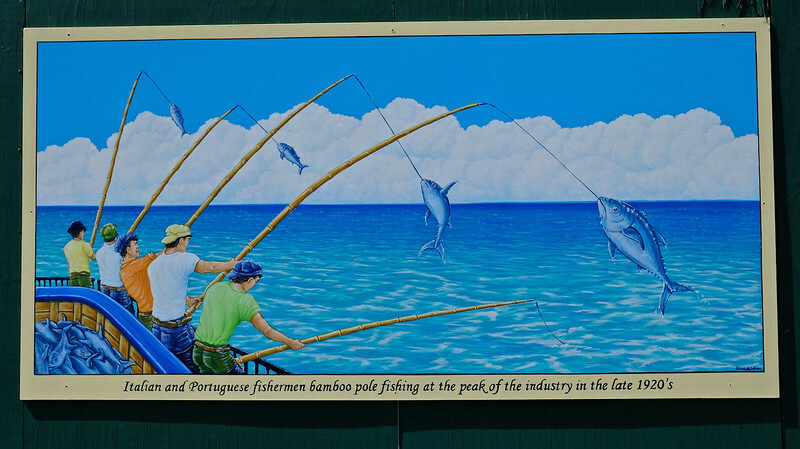 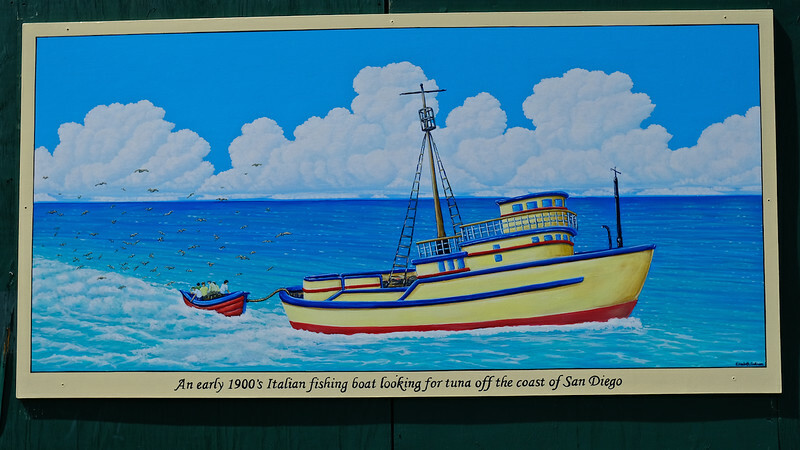 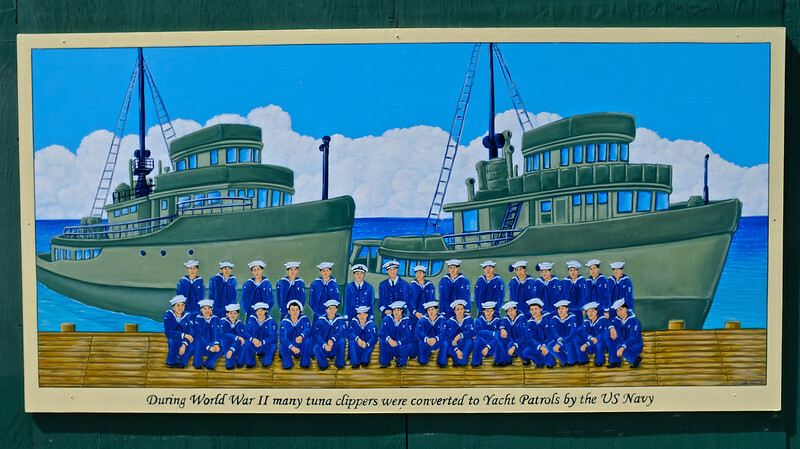 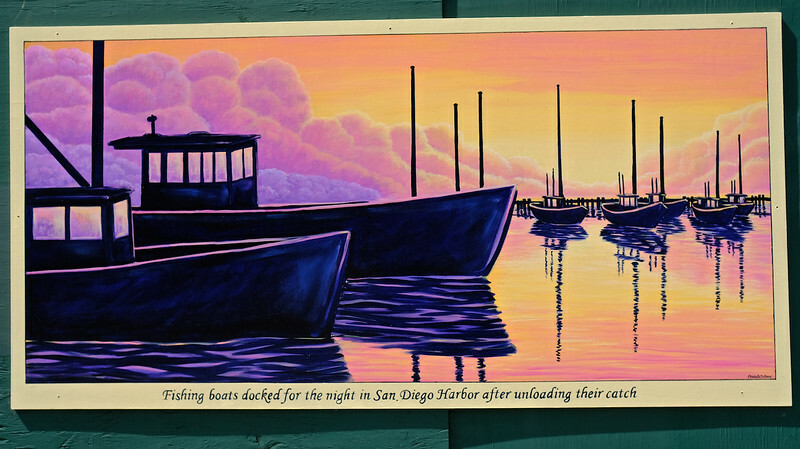 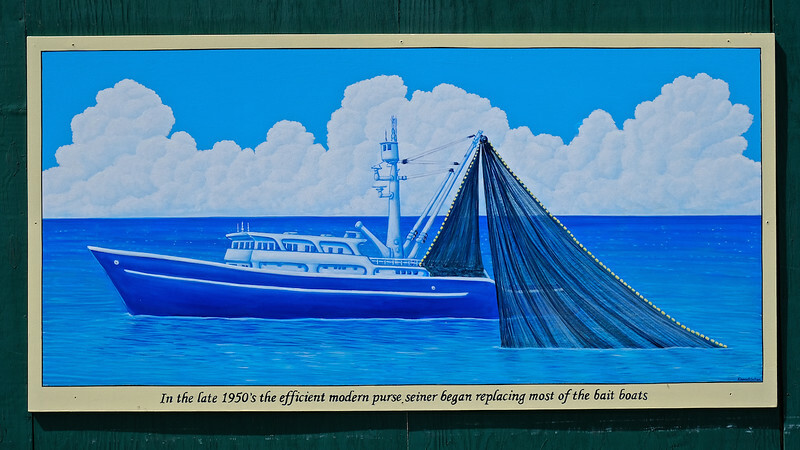 Italians and Portuguese have a long history of commercial fishing in San Diego. 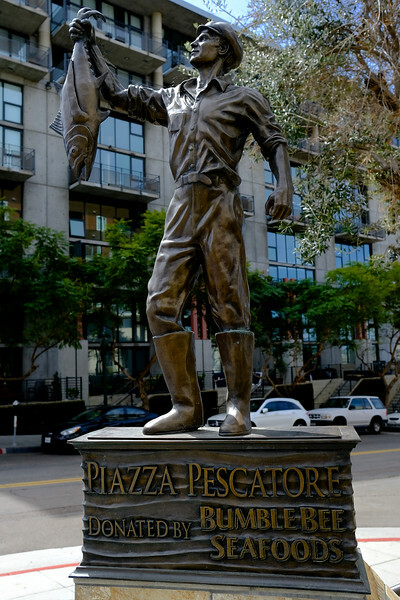 This memorial statue is new as well. 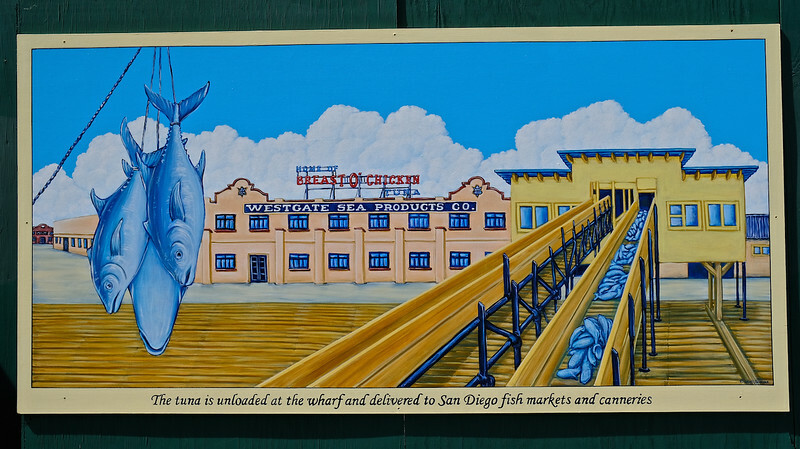 It's also on Kettner Blvd.